Choices Choices! How to choose the right toothpaste. Now the choices are endless! When you walk down the ‘personal care’ aisle of the supermarket you are met with a variety of different toothpaste brands all promising whiter teeth, tasty flavours, enamel protection and relief for sensitive teeth. There are natural toothpastes, ones that contain fluoride, whitening toothpastes, and even special toothpastes for kids… but which one is the right toothpaste for you? Everyone has different dental needs so make sure you have a chat with us about what would work best for your teeth at your next consult. In the meantime here are some things to watch out for. Fluoride is in most commercial toothpastes and it is essential. It’s proven to strengthen tooth enamel and helps to prevent cavities. It can also reverse the early stages of acid damage. Tartar is another enemy and can build up on teeth and cause gum disease. Tartar control toothpaste contains an anti-plaque agent effective against tartar build up. Ideally, a toothpaste with both fluoride and tartar control is a great combo, and if it contains multiple plaque fighting agents even better. 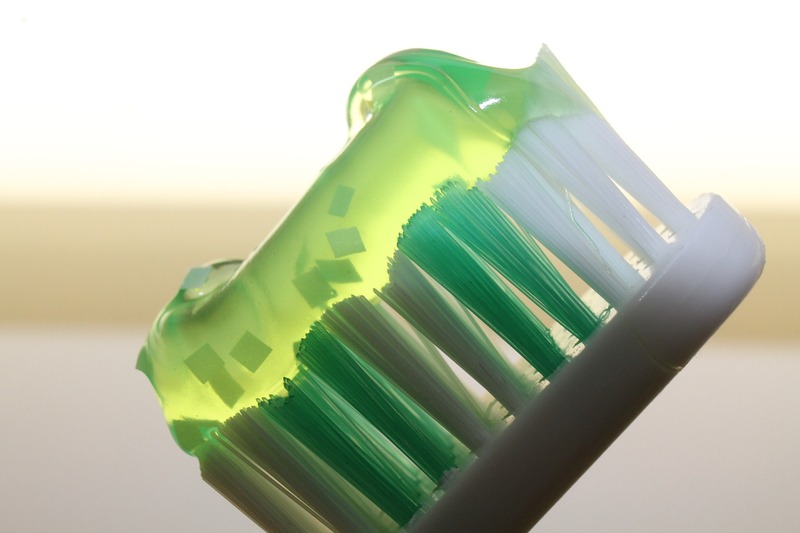 As well as fluoride, toothpaste is made up of a mix of thickeners, flavours and abrasives such as calcium carbonate which acts as a polish for your teeth and helps break down plaque. If your toothpaste doesn’t contain fluoride then you are doing yourself a big disservice. A ‘child safe’ toothpaste is designed a little differently. It contains less fluoride then adult toothpastes, and we recommend a child friendly (sugar free) toothpaste for children under 6 years old. If you are looking for a children’s dentist in Taree, then give us a call at Taree Dental Care. We specialise in children’s dentistry so you an always give us a call if you are ever in need of advice. Some toothpastes are designed to achieve a whiter smile – which usually means there are abrasive products in the toothpaste to remove external stains. If you have sensitive teeth, it might be wise to avoid teeth whitening toothpastes. Remember, significant teeth whitening or teeth bleaching cannot be done with toothpaste alone. Peroxide is the main ingredient in teeth whitening gels, so if you see a brand of toothpaste contains peroxide, it may be better than brands that do not. But if you really want whiter teeth, consider getting a professional whitening treatment. If you are someone that experiences discomfort (ouch!) when drinking a cold drink or eating ice cream – come and see us first. It could mean you have a hole in your tooth, or gum disease, so a dental check-up is always best in the first instance. We may recommend a toothpaste that helps to de-sensitise the problem tooth. This toothpaste includes ingredients which work together to block the holes in the root of the tooth. Over time these toothpastes should provide some relief. Above all, when you book in for a check-up with our friendly dental team, ask us ‘which toothpaste is right for you’ to ensure you are getting the best option for sparkling teeth and healthy gums. And remember that toothpaste alone is NOT a miracle worker – proper brushing technique and flossing is critical for great oral hygiene. If you want to make sure your mouth is in tip top shape, and you are looking for a dentist in Taree, give us a call on (02) 6550 0960 to schedule an appointment.